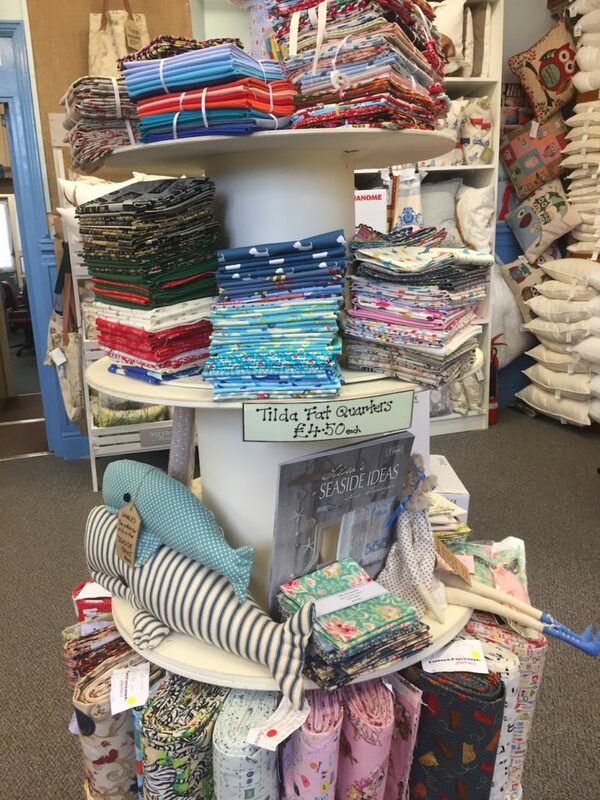 Heathcoat Fabrics is a wonderful sewing shop in Tiverton, Devon. 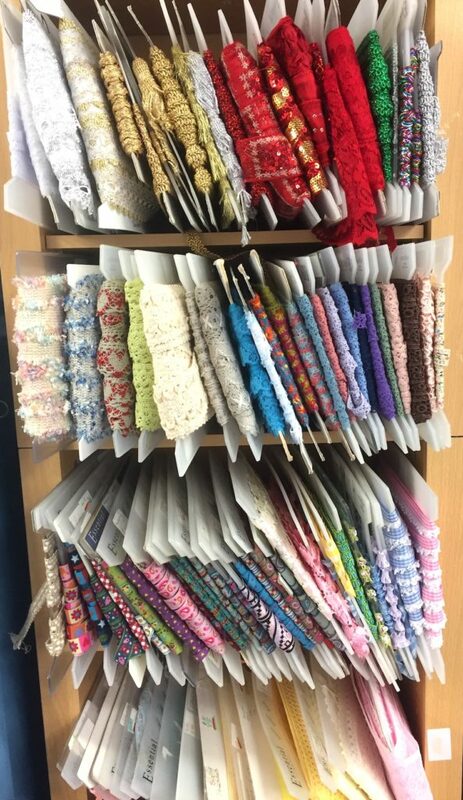 It stocks a wide variety of dressmaking, general purpose, and soft furnishing fabrics and haberdashery products. 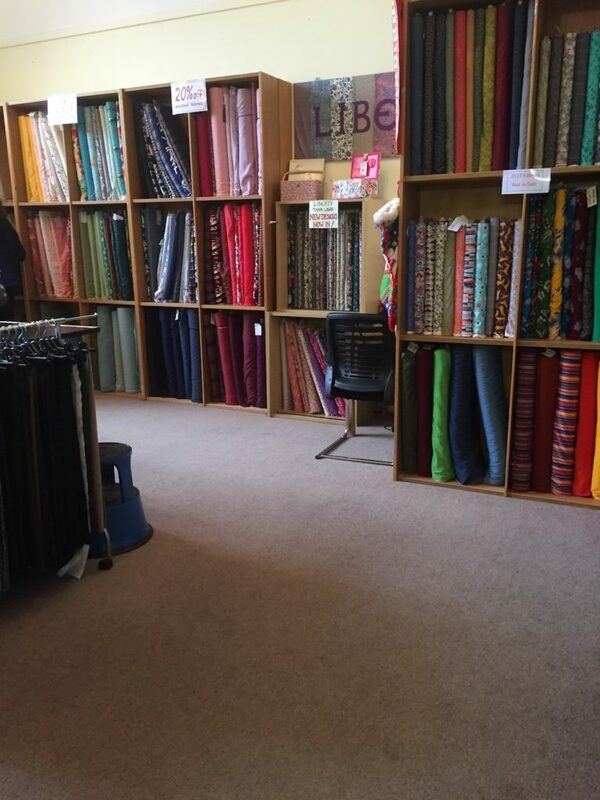 It is one of my all-time favourite fabric shops and is well worth visiting if you are in central Devon! 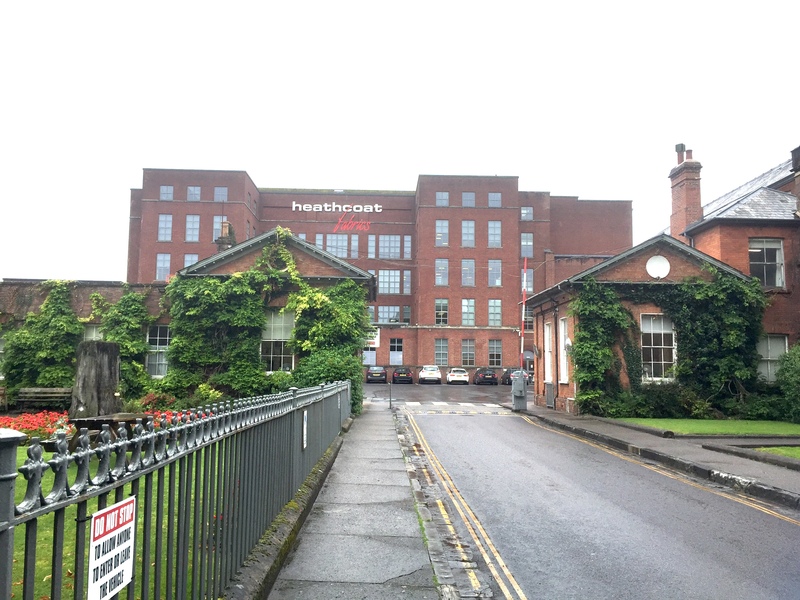 The fabric shop is located next to the Heathcote Fabrics Factory. 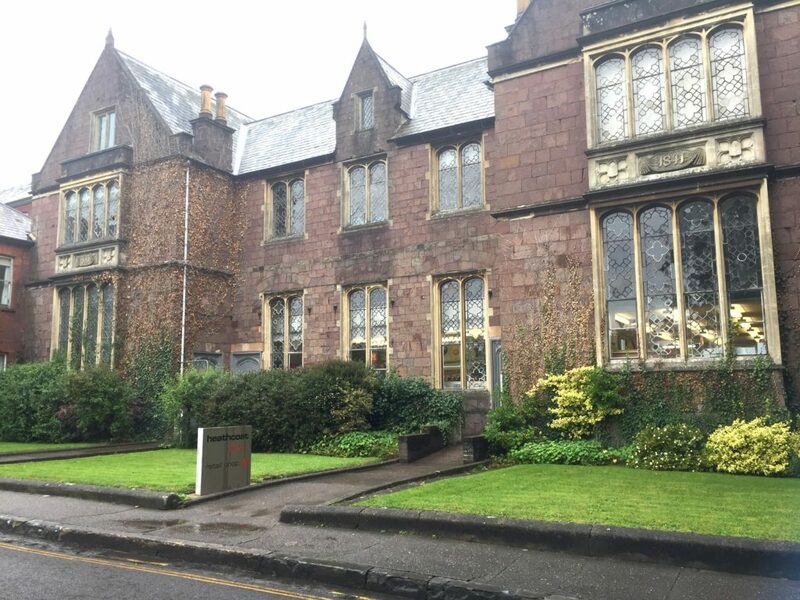 Top tip: If you visit before 11:30am you can also use the staff canteen to get a drink! 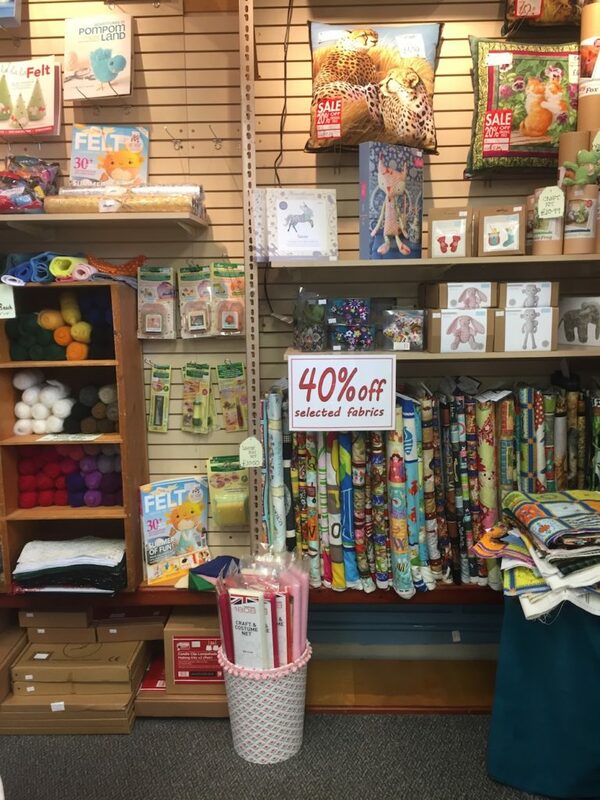 Inside the shop you will find four rooms dedicated to fabric and haberdashery supplies. The first room is full of soft furnishing fabrics. 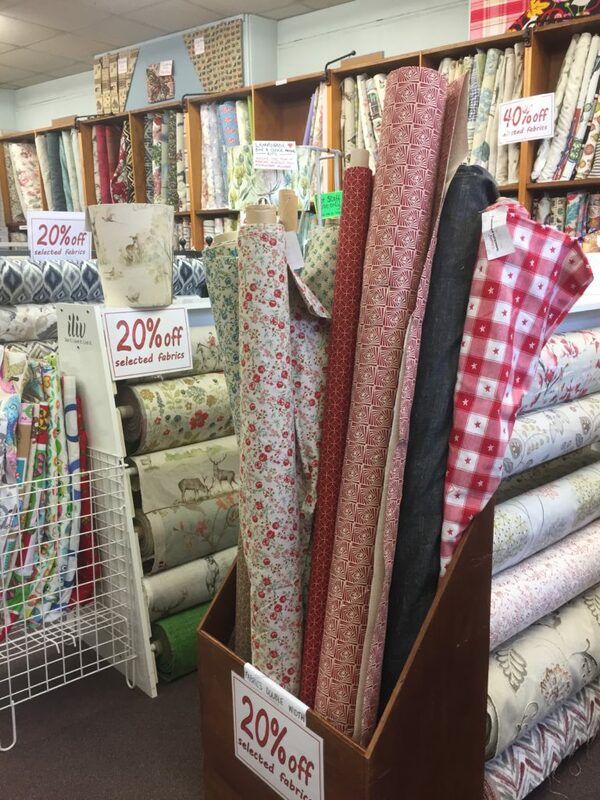 These include things like curtain, upholstery and oilcloth fabrics. When I visited they were having a summer sale, which is why there are so many reductions advertised in my photos – I wish they had a sale all the time! 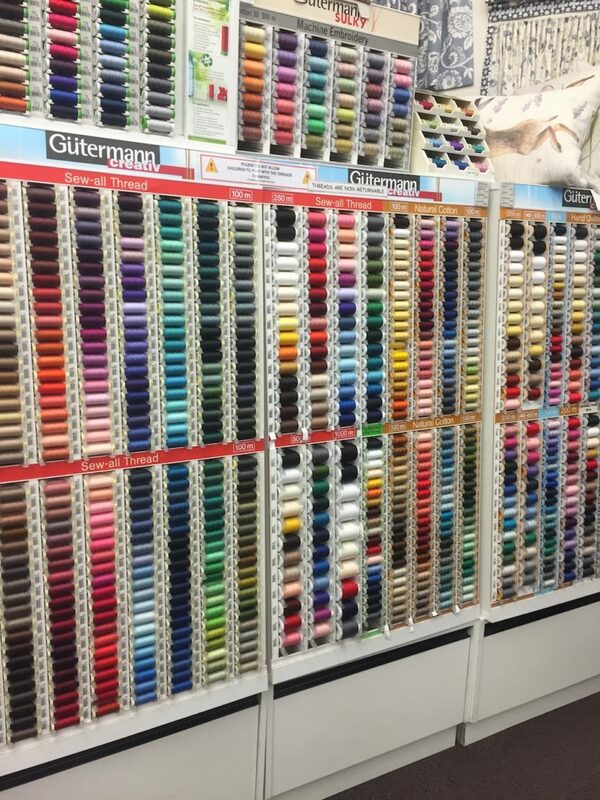 A rainbow of Gütermann threads! A glorious selection of buttons – they also have ‘serious’ buttons, not just novelty ones! 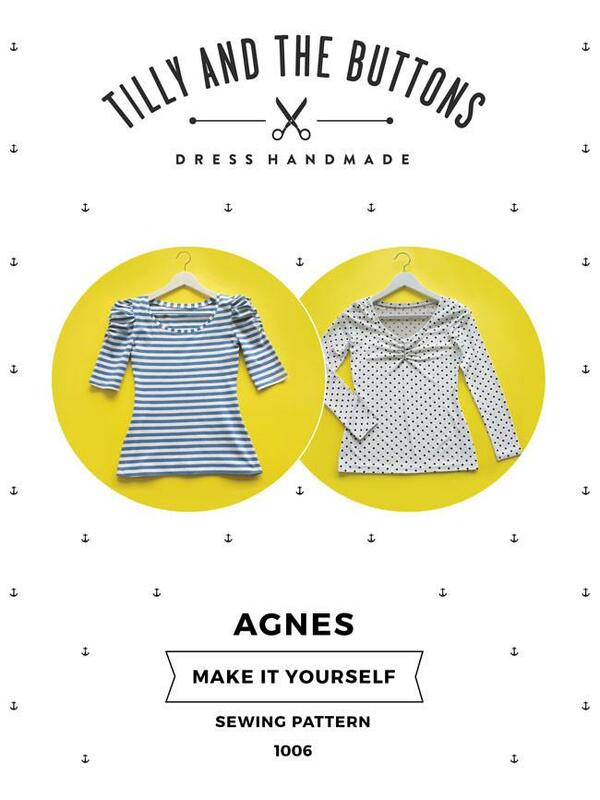 There are a good selection of big-name sewing patterns available in the shop, however some have to be ordered. 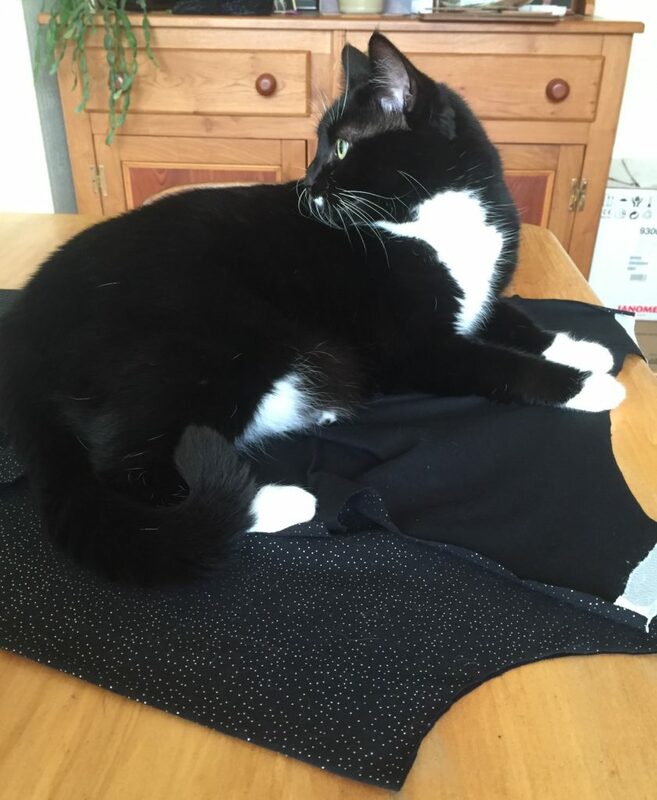 I don’t believe Heathcoat’s stock any Indie sewing patterns – maybe they will do in the future? 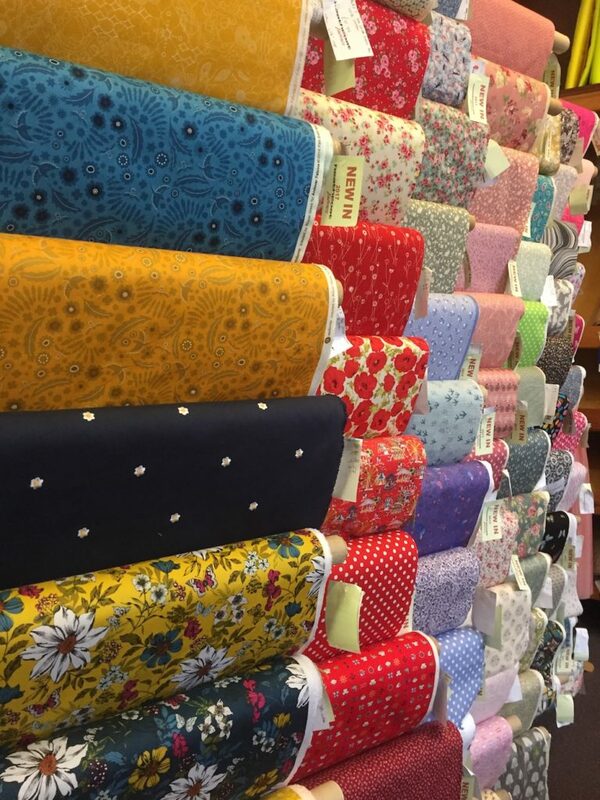 After you have navigated the room of haberdashery goodies, there are two further rooms, stuffed with dressmaking fabrics: one is dedicated to cotton prints, and fancy fabrics, while the other has more fashion-lead fabrics like denim, jersey and Liberty prints. 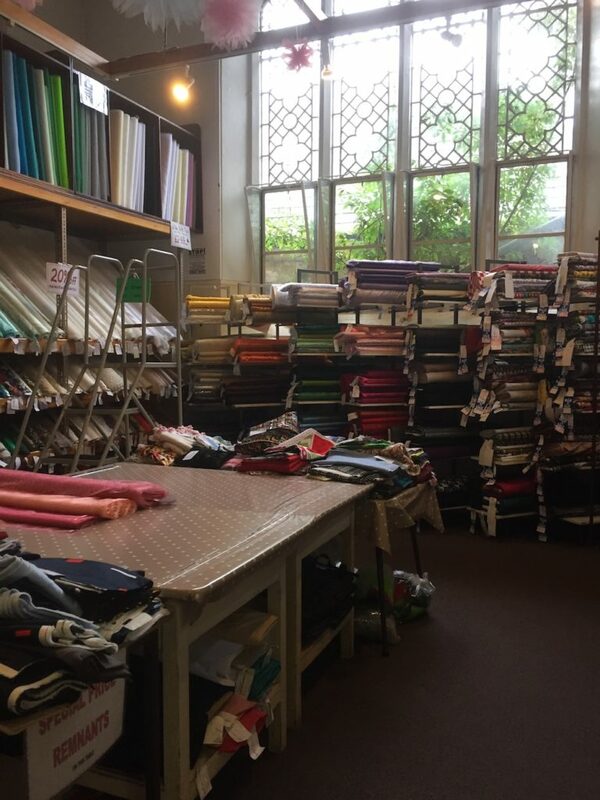 This room is lined on all sides with many racks of dressmaking fabrics! There are two tables that are always well-stocked with remnants too! On this visit there was a lot of brushed cottons, scubas, cotton sateens, and some cotton prints that had been heavily reduced. 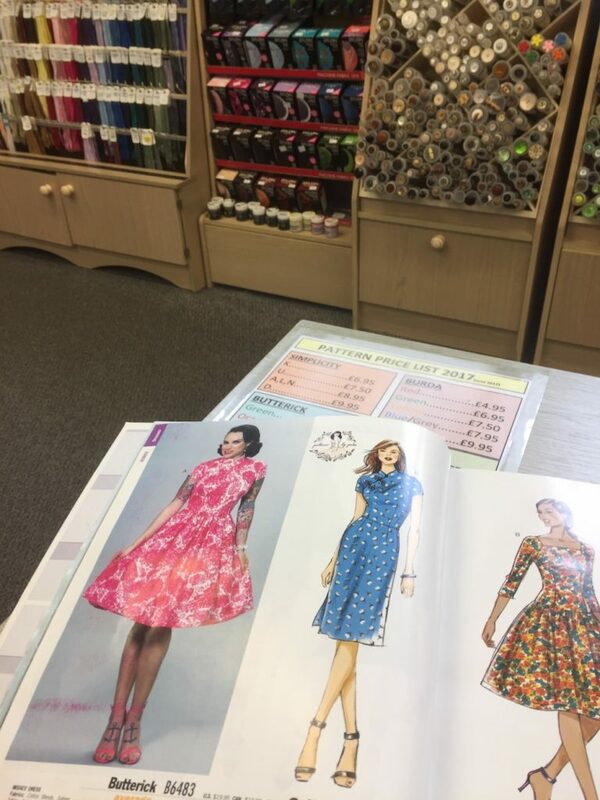 Their second dressmaking fabric room is by far, my favourite room in the shop though as it has all their latest fashion fabrics, and they are beautiful! They are (mostly) arranged into colour groups, however gingham, corduroy, and jersey are grouped by their type. 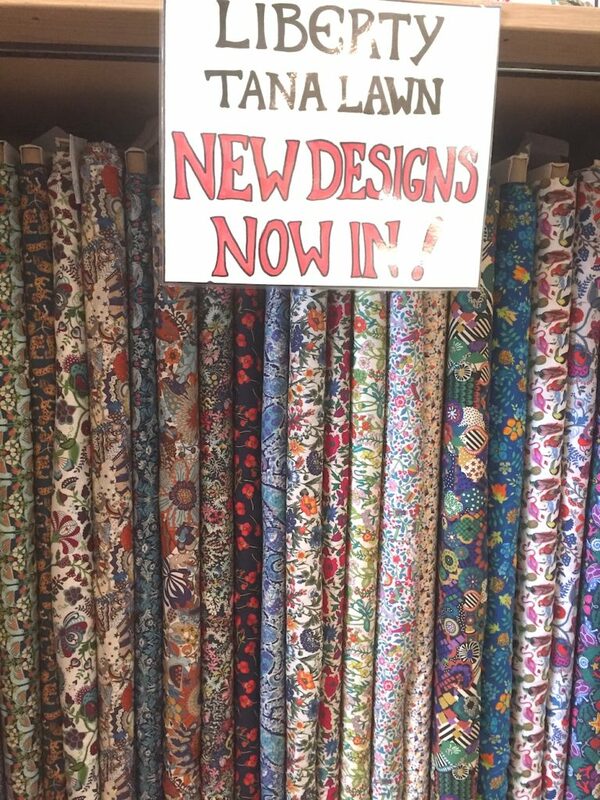 Lovely fabrics for making lovely clothes with! Who doesn’t love a good Liberty print?! The smallest increment they cut is 25cm – at least you can control the spending a little more closely than some other shops! 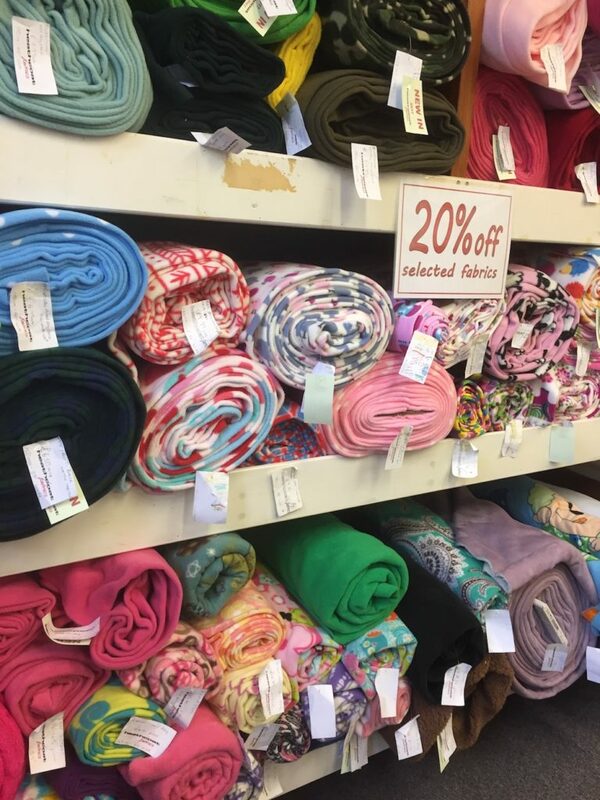 Heathcotes is an excellent fabric and haberdashery shop. If you visit you should allow at least half an hour to have a quick look, but you should really spend longer to fully appreciate everything they have to offer. Make sure to check out their remnant tables as I have found great bargains there in the past. 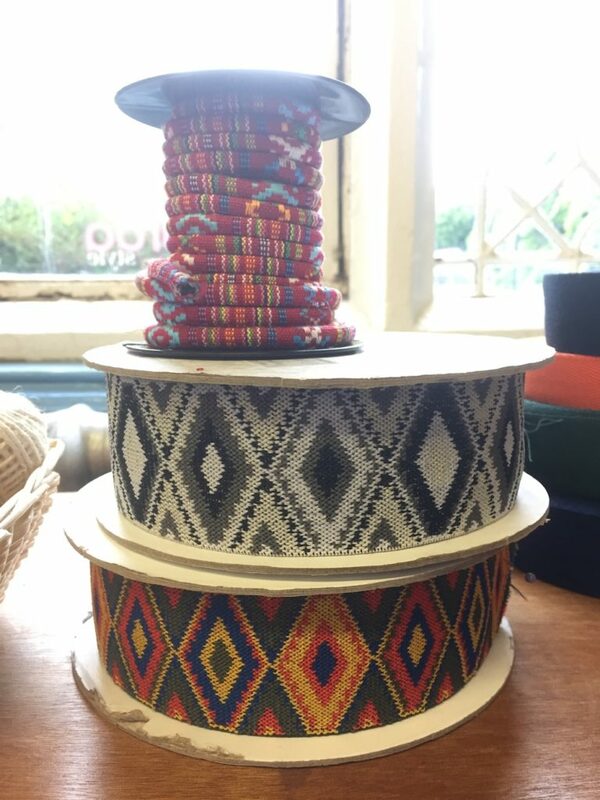 The staff are friendly and helpful and there are three cutting tables in the dressmaking section so they are able to handle quite a lot of customers at once. I thoroughly recommend a visit to the shop if you are in Devon!